A donation of beer tastings for 500 people- Please take this opportunity to showcase a variety of your beers. The Beer Garden has become a popular attraction at this event. Guests love to mingle and enjoy their tastings in this sunny corner of the patio. Service at your table from 5:15 pm-7:45 pm- We encourage you to have your Brewmaster and owner represent your winery. This event is an excellent opportunity to connect with potential patrons in an intimate, social setting. Set Up is the event participants' responsibility. Arrive at the Restaurant, Winery & Brewery Check-in point with your supplies where you will be assisted in transporting to the tent. You are responsible for laying out your decorations and materials. Donation of an auction item- Donating an auction item increases your exposure at the event. A few ideas for auction items are as follows but not limited to: VIP tasting & brewery tour for four, gift certificates in the amount of your choosing. 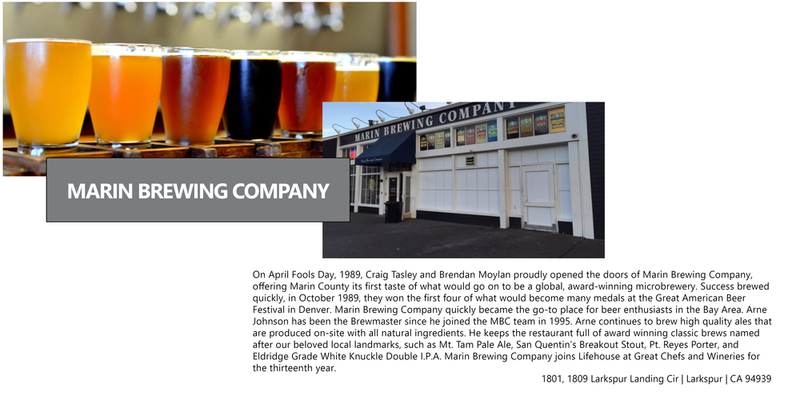 Business logo and Brewmaster photo- Electronic files to be used for marketing purposes. Please email to Jennifer Waight, jwaight@lifehouseagency.org.